6 December 1912: This is the excavation photograph (left) taken of the painted plaster and limestone bust of the most beautiful woman in the world shortly after it was dug out of the ground on that day. 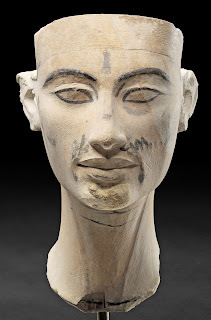 6 December 2012: Exactly one hundred years later, the Egyptian Museum and Papyrus Collection at the New Museum of Berlin is celebrating the amazing appearance of Nefertiti's bust in a sculptor's studio in the ancient city of Amarna, on the Nile halfway between Cairo and Thebes. Her name is once again in bright lights. But that's not all she has to celebrate this year: she just received an exceptional 100th anniversary gift -- a major new discovery about her life has just come to light, too. But, first, the show. The exhibition illuminates the context of the discovery of the bust of Nefertiti in the sculpture workshop of the master craftsman Thutmose, along with numerous objects, including the pigments and tools used by the artisans. At the centre of it all, of course, is the "radiant grandeur" of the bust, 50 cm (20") tall, whose "anxious charm" once delighted the German writer Thomas Mann. 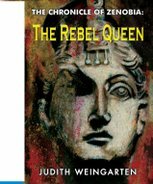 In the Light of Amarna sets out to provide a deeper understanding of the revolutionary period in which the ancient Egyptian queen lived. Nefertiti, renowned as one of history’s great beauties, was the powerful chief wife of Pharaoh Akhenaton. Surprisingly, however, hardly anything is known for certain about her life. Her name means The Beautiful One Has Arrived. She was probably the daughter of an upwardly mobile provincial family already close to the royal house. Nefertiti's aunt appears to have been the "Great Royal Consort" of Pharaoh Amenhotep III, Akhenaton's father. Her own father had had a successful career, rising to the rank of general of the chariot force. Her marriage to Akhenaten may have been her second. In religious and state art she is portrayed as almost her husband’s equal. A limestone statue of the queen (left) shows her later in life than the famous bust: she has lines around the eyes and mouth. There have been fantastic speculations about her fate in relation to that of her husband, Akhenaten, and of Tutankhamen, who succeeded Akhenaten after his father's death. ** Nefertiti had been mentioned for the last time in texts from Akhenaten's Year 12 [although he reigned until some time in the Year 17]. This is often explained by assuming she died early (a plague was raging in the Nile Valley at that time; according to a Babylonian clay tablet, an Amarna queen was one of the victims), or that a conflict arose between the queen and Akhenaten, leading to her being banished. 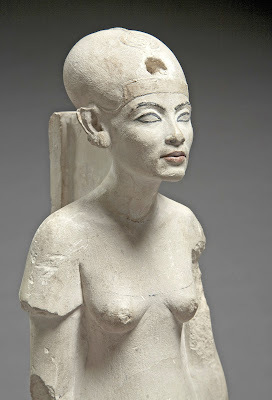 Other scholars assume Nefertiti's name was changed because she was appointed to serve as a second 'king' beside Akhenaten soon after Year 12: her name as king was thought to be that of a female pharaoh Ankhetkheperure Neferneferuaten (who used the epithet 'Effective for her husband' in one of her cartouches). Just in time for Nefertiti's centenary celebrations, sensational new evidence about the royal couple has been discovered in the Dayr al-Barshā excavations in Middle Egypt, not far north of Amarna. A barely legible building inscription written in red ochre on a pillar in the local limestone quarry was deciphered by the Egyptologist Athena Van der Perre (Leuven University, Belgium). It begins with a date on the 15th day of the third month of the flood season in Year 16 of Akhenaten, his highest certain date. More important, however, is the fact that the third line evokes queen Nefertiti as Akhenaten's chief wife: Great Royal Wife, His Beloved, Mistress of the Two Lands, Neferneferuaton Nefertiti. This proves that Nefertiti and Akhenaten were still officially recognized as the royal couple a year before the end of Akhenaten's reign. There can be no question of Nefertiti disappearing! And, equally, as late as Year 16, her name had not changed: she is still simply the beloved Nefertiti. If Tutankhamen succeeded Akhenaten immediately, as many assume, then the at least three years that Nefertiti reigned as king must have overlapped with Tutankhamen's reign -- with Nefertiti functioning as a kind of queen mother. Another option is that Nefertiti ruled Egypt for some years after the death of Akhenaten, and that Tutankhamen was her successor. 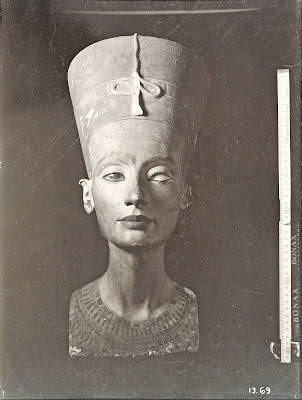 There is still a lot of uncertainty, but several old ideas about Nefertiti's early disappearance must now be discarded. Nefertiti's own life and [co-]regency presumably had ended by Year 3 of Tutankhaten's reign (1331 BCE) when the religious Counter Reformation began. Tutankhaten changed his name to Tutankhamun, returning to the official worship of the god Amun. He abandoned Amarna and went back to the old capital of Thebes. Damnation followed: angry successors destroyed the images of the heretics, their names were obliterated and almost all traces were removed. Her mummy disappeared. And so, while we have the face whose "smile is animated with an inner light" (as French Egyptologist Christian Jacq described her), we still do not know what happened to the body of the most beautiful woman in the world. * On the bust and its recently-discovered inner limestone sculpted core, see Vanity, Thy Name is Uppity Woman. 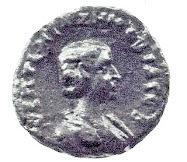 On the history of its discovery and the continuing controversy between Germany and Egypt over who owns it, see Two-Timing Nefertiti and Two-Timing Nefertiti II. ** Tutankhamun was the son of Akhenaten and his sister-and-wife (mummy KV35YL), whose name is unknown but whose remains are identified as 'The Younger Lady' mummy. 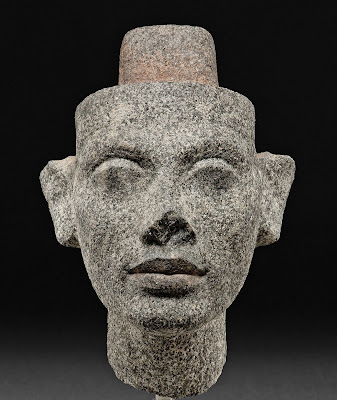 Sources (in addition to press releases from the Neues Museum) include Matthias Schulz, 'Re-Examining Nefertiti's Likeness and Life', via Spiegel Online International; Lutz at Egyptian Dreams; the Dayr al-Barsha Project; and Aayko Eyma on the EEF-Digest (2-9 December 2012) -- to whom I am also grateful for the notice of the new inscription from Dayr al-Barsha. Upper left: Photo of the bust of Nefertiti, taken 1912, document of the official division of finds © Deutsche Orient-Gesellschaft (DOG). Below left: Head of Nefertiti from a former double seat statue of the royal couple, grey granite. Donation James Simon. © Staatliche Museen zu Berlin. 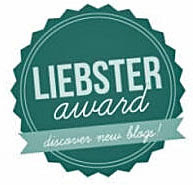 Photo credit: Sandra Steiß.